Great Resource On The Way For NC Voters! Traci Griggs, NC Family Director of Communications interviews NC Family President John L. Rustin about the vital importance of this year’s election, the NC Family voter guide, and what listeners can do to help. Transcript: Great Resource On The Way For NC Voters! INTRODUCTION: Thanks for joining us this week for Family Policy Matters. We have a treat for you today. I am Traci Griggs, Director of Communications for the North Carolina Family Policy Council and I have the pleasure of interviewing the man you are accustomed to having as your host for Family Policy Matters, John Rustin, president of NC Family. Today we’re going to be talking with John about one of NC Family’s biggest and most impressive projects:l the 2016 Voter Guide. Across the state, North Carolina voters count on this election resource to provide important, impartial and unfiltered information about where the candidates stand on a wide range of issues, such as education, marriage, gambling, abortion, taxation, and religious freedom. John, welcome to the guest seat on Family Policy Matters. JOHN RUSTIN: Thanks Traci, it’s great to be with you. TRACI GRIGGS: John, you and the North Carolina Family team have been producing a general election Voter Guide for many years now. Tell us how this project got started, and why NC Family continues to put the enormous time and effort and resources into it, election after election. JOHN RUSTIN: Traci, we think the Voter Guide is a very important resource to provide to voters across North Carolina, and we started producing the voter guide in the 2000 election. We had been hearing more and more from voters, and particularly conservative Christian voters across the state, that they were having a very difficult time getting information, relevant and important information to them, on issues that they really care about, with respect to where the candidate stood on those issues that were running for elected office in North Carolina. And so we set out to produce a voter guide for the general election to help voters across North Carolina to understand where the candidates stand on these issues. And also to provide the candidates opportunity to share this information with the voters. And based on the list of issues and topics that we cover in the Voter Guide, often these are not issues that you can go to a candidate’s website to get to learn where they stand on the issue. And sometimes because some of these issues are considered somewhat controversial, you don’t always hear about them, even in debates, and so we thought it was important again to provide a forum so candidates can share information about their stances on these important issues to the public, and so the public, the voters, can understand better where the candidates stand on the issues so that when they go into the voting booth they’re well informed and can make an informed decision. TRACI GRIGGS: So tell us a little bit more about what voters can expect out of the 2016 Voter Guide. JOHN RUSTIN: The 2016 Voter Guide is chock-full of information about the candidates. We surveyed all the candidates who are running for the United States Senate, the US House, Governor, Lieutenant Governor, Council of State, State Supreme Court, Court of Appeals, and the entire State Legislature which is up for re-election. So that is a total of about 340 candidates that are included in the 2016 Voter Guide. We ask them a series of questions. Now we ask Congressional candidates a series of questions that are more relevant to issues that they will face as they’re serving in federal office. Then we ask the Governor or candidates for Governor, Lieutenant Governor, Council of State and the State Legislature, a separate set of questions that are relevant to their jurisdiction as state elected officials. And then we ask state judicial candidates an entirely separate set of questions to try to get a sense of where they stand with respect to their judicial philosophy: which member of the U.S. Supreme Court do they believe most represents their philosophy, those types of things. And so we try to tailor those questionnaires to the offices that the candidates are seeking, but also to make sure that the questions we ask are timely, relevant, and of interest to the audience that will be using these across the state. TRACI GRIGGS: So, how did you ensure that every candidate was treated equally and had an opportunity to participate in the Voter Guide survey? 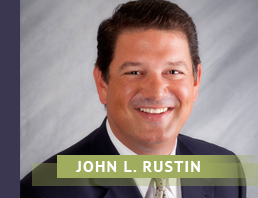 JOHN RUSTIN: That’s a great question and something that we take very seriously. Now the Family Policy Council’s Voter Guide is non-partisan, and we really bend over backwards to make sure that all the candidates, regardless of party and regardless of the office that they are seeking, are treated the same because we want it to be objective. We not only want to provide unbiased information to the voters but we also want the candidates to feel very comfortable in responding to those questionnaires, and to be ensured that their responses are not going to be used as some kind of a “got ya” or misrepresented, which does happen in some cases, unfortunately. So we send out the questionnaires to all the candidates and then we do a series of follow-ups by phone, email and otherwise to make sure that all of those candidates have as much of an opportunity to participate in the Voter Guide as possible. The response rate that we get on our Voter Guide compared to voter guides in many other states, we have a relatively high response rate, and I think one of the reasons for that is that we ask very straightforward questions. We also invite candidates to provide additional comments or explanations for their responses. So if the “Yes,” “No,” and “Undecided” options we have don’t necessarily allow them to fully express their position on the issues, then we give them the invitation to provide additional comments and responses to those questions so that they feel their positions are fully represented. And then we go the extra step of scanning all of those candidate questionnaires in and posting those on the general election website so the voters can go and open up those scanned questionnaires and see the candidates responses in their own handwriting. So we think that makes for a very fair and very impartial process of encouraging the candidates to share important information with the voters and providing voters with reliable, and again, unbiased information about the candidates. TRACI GRIGGS: John, we’re hearing so much about our national elections, especially the presidential race, but there are so many important state-level races, and this year of all years, how North Carolina votes on state-level races could have an impact nationally. So, tell us a little bit about why it’s important for people to get out and vote. JOHN RUSTIN: North Carolina used to exist in what I referred to as “relative political anonymity.” We were, historically, a Democratic state that was moderate; typically elected Democrat leaders with some exceptions. But for the most part for 140 years since reconstruction, we were pretty much a reliable Democratic state. Well, in 2008 and 2010 that all changed, and of course now we have a Republican governor leading North Carolina, as well as super majorities in both chambers of the State Legislature. We are considered to be one of the most competitive states. We are a top battleground state in national elections, so that’s why we see the presidential candidates spending a lot of time in North Carolina, and races like the race for U.S. Senate and Congressional races, as well as the Governor’s race, being extremely tight. We are a very, very competitive purple state. And so we have really important races in addition to the presidential race, the U.S. Senate race, the gubernatorial race—that is going to be probably the most competitive and expensive gubernatorial race in the country—and the entire State Legislature is up for re-election as well. The General Assembly has done more in the last six years to promote family-friendly issues, pro-life legislation, religious liberty legislation, education, choice in education, a lot of variety of really pro-family issues, and a lot of that could change if the elections go in one direction. Those types of things could be bolstered if the elections go in another direction. And so, at the North Carolina Family Policy Council, we do not endorse candidates but we work within the political arena and understand very much the impact that those political decisions have on the policy issues that we’re working on. This is an incredibly, incredibly important election. I will just say with a focus on one particular arena, which is religious liberty, that as Maggie Gallagher, who is a nationally renowned expert on marriage and family issues, said recently in a National Review article, “As North Carolina goes with respect to the Governor’s race, so goes the future of religious liberty legislation in our nation.” All eyes are on our Governor’s race and the notion is—and this is not meant as an endorsement of a candidate—but if Governor Pat McCrory does not win re-election, the national media is going to chalk that up to his support and defense of House Bill 2, North Carolina’s common sense bathroom, privacy and safety bill. Of course, there’s been a lot made about that legislation in the media and with groups like the NCAA and the ACC recently coming out in opposition to it and moving championship games out of the state. That all is in play in this, but the national media will chalk it up to his support and defense if Governor McCrory loses the election. If he wins on the other hand, then political leaders across the country will see that you can stand up for what’s right and what’s true and survive politically. And so there’s a tremendous amount in the religious liberty arena riding on the outcome of the gubernatorial race in North Carolina. TRACI GRIGGS: NC Family communicates to all North Carolinians much of the time, but our radio show has a very unique niche in that we can speak to a lot of Christians through their local Christian radio stations. So, what would you say to Christians who are listening to this, about why it’s important for them particularly to get out and vote, and to encourage people in their churches and their community to vote as well. JOHN RUSTIN: I really believe we have a privilege, but also a right and a responsibility, to vote. And this is the basis of the republic that we live in, is that the citizens get out and act on their right to vote, elect officials that represent their values and their opinions and then hold those elected officials accountable while they’re in office. And so it is a critical part of our form of government that we’re fortunate to live in in the United States, that every citizen that is of voting age and has the right to vote exercises that right. A significant part of exercising that right is educating yourself and being knowledgeable when you go into the voting booth to complete that ballot, to elect the officials that represent us. And that’s why the Voter Guide project is such a critically important part of what we do as a research and education organization. We want to make sure that every voter in the state is well equipped and well informed when they go into the voting booth to vote for those candidates that represent their values. TRACI GRIGGS: John, how do voters get a copy of the 2016 Voter Guide? JOHN RUSTIN: The easiest thing is to go to the North Carolina Family Policy Council website at ncfamily.org and it will be very obvious on the website how they can gain access to the Voter Guide. They can download the entire 24-page Voter Guide if they want to do that, but they can also type in their name and address and the website will populate a personalized Voter Guide for them that includes all of the candidates that are running for statewide offices, but also just those candidates that are running in their congressional and state legislative district, so they won’t have to filter through a bunch of candidates that they don’t have the opportunity to vote for. So, it’s a very user-friendly website and process. We would not only encourage interested people to get a Voter Guide for themselves, but we also, as a public service to citizens of the state, provide Voter Guides for distribution across North Carolina, primarily through churches, but through civic groups and other organizations. So you can actually, on the NC Family website at ncfamily.org, you can order Voter Guides in bulk for distribution at your church, your civic group, your neighborhood. And even walk around your neighborhood and hand out Voter Guides to your neighbors to make sure they have the information they need to make informed decisions as well. TRACI GRIGGS: John, we’re nearly out of time for this week. Why don’t you tell us one more time where people can go to get their copy of the 2016 Voter Guide, and to order copies if they want to distribute those in their church or their neighborhoods. JOHN RUSTIN: Thank you Traci. Again, the easiest way is to go to our website at ncfamily.org. They will see prominent notices of how they can gain access to the Voter Guide there. If they’re on the NC Family mailing list, they may have already received a 2016 Voter Guide in the mail, but they can contact us also by phone at 919-807-0800 and give us their name and address and we’ll be happy to send them a 2016 Voter Guide. It’s our goal to get Voter Guides in the hands of as many voters across the state as we can, and we’re delighted to be able to provide this resource free of charge as a service to the citizens of North Carolina. TRACI GRIGGS: John Rustin, thank you so much for switching seats on Family Policy Matters this week. And for your untiring and inspiring leadership at the North Carolina Family Policy Council! 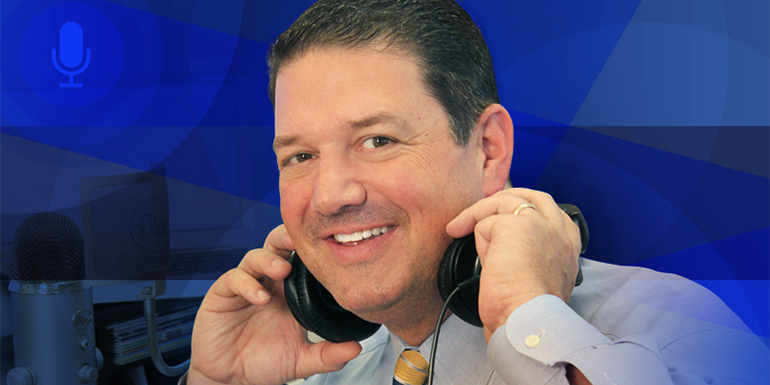 JOHN RUSTIN: Thank you Traci, it’s been a pleasure talking with you.